This week we have two sets of tickets to giveaway to AMA Supercross at Reliant Stadium in Houston Texas! 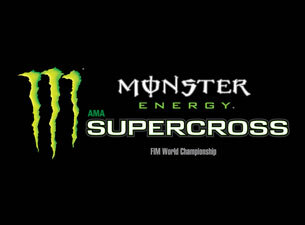 Two (2) tickets to the Monster Energy AMA Supercross at Reliant Stadium, Houston, TX on Saturday, Feb 12, 2011. The tickets will be mailed to your provided address via USPS Priority Mail on Monday, Feb 7, 2011. Congratulations to Stephen Clark for winning 2 free tickets to this weekend's Monster Energy AMA Supercross in Houston, TX!